В апреле этого, 2015 года, скончался американский певец, исполнитель в стиле соул, Пёрси Следж. Ему было 73 года. Он создал песню When a man Loves a Woman, которая входит в число самых популярных песен о любви среди американцев. 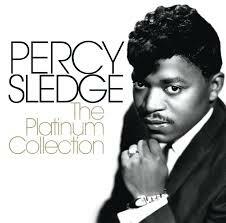 Persy Sledge, the soul singer who scored a worldwide hit with When A Man Loves A Woman, has died at the age of 73. His agent said the artist passed away on Tuesday at his home in Louisiana after a struggle against cancer. Sledge recorded When a Man Loves a Woman in 1966 as his first single. It became one of the most popular soul records ever and he was eventually elected into the Rock ‘n’ Roll hall of fame.